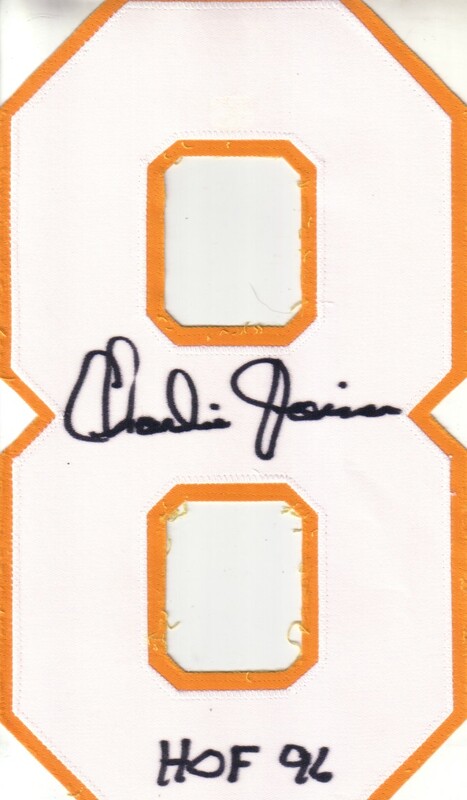 San Diego Chargers double layered cloth tackle twill jersey number 8 autographed in black marker by Hall of Fame receiver Charlie Joiner and inscribed HOF 80. This number could be stitched on the back of almost any blue Chargers jersey although Joiner wore dark blue only. With certificate of authenticity from AutographsForSale.com. ONLY ONE AVAILABLE FOR SALE.